Sundance Saloon's New Year's Eve country-western dance for the LGBT community and its friends. We return this year to our new South-of-Market location in a trendy facility called SOMArts. We'll bring you a fantastic night of two-stepping and line dancing as we count down to a midnight balloon drop. 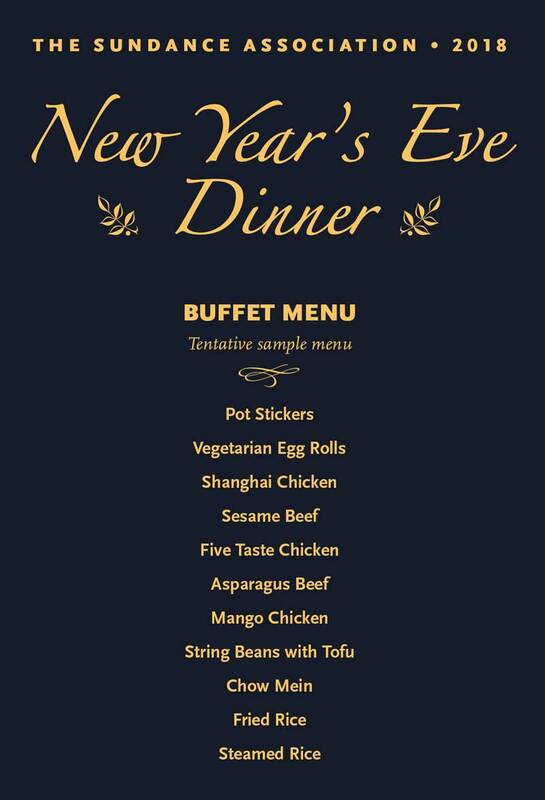 Begin with an optional buffet dinner from 7:30 to 9:00 pm, This year we'll have a Chinese buffet! Sample menu (an approximation, not the final menu). Gluten-free and vegan options will be available. We'll have beginning two-step lessons at 8:00, and a basic line dance lesson at 8:30. Then it's open dancing with a mix of two-step, waltz, swing and line dancing right into the new year. We'll offer dancing on the stage as well as an area on the main level. And this year your champagne toast is included in the price of admission! $60 host sponsor ticket supports the Sundance Association. Includes admission, complimentary coat-check and beverage.